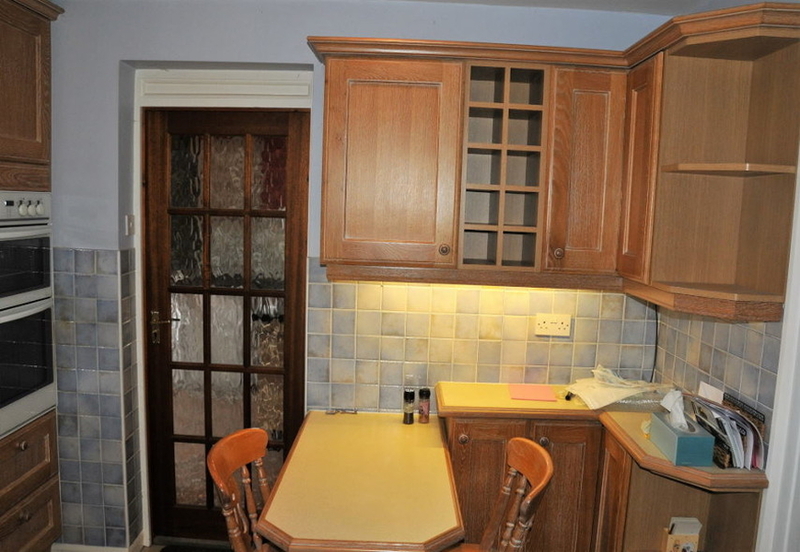 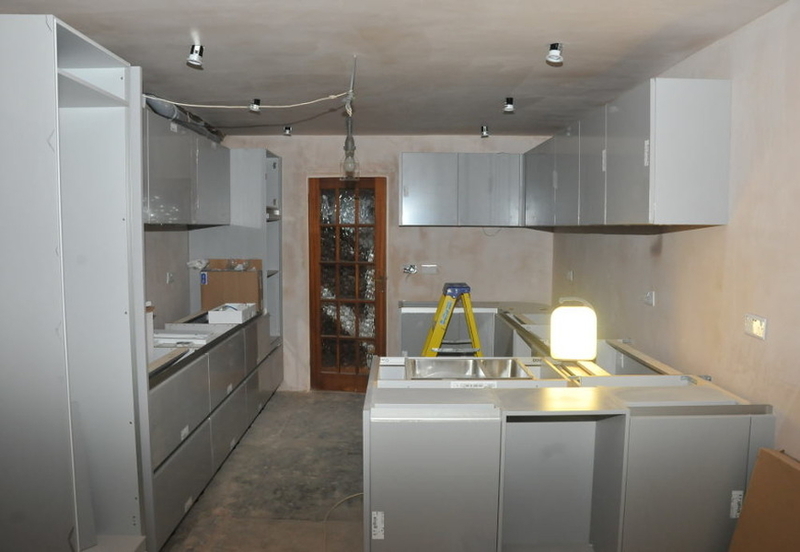 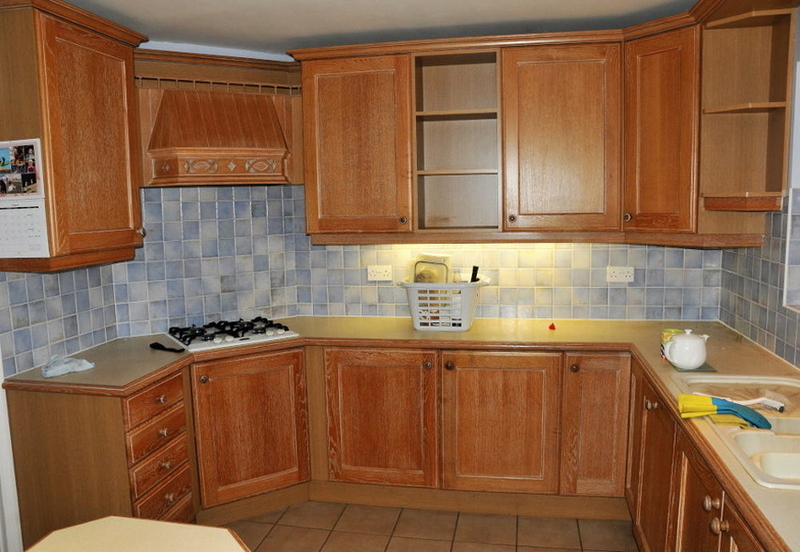 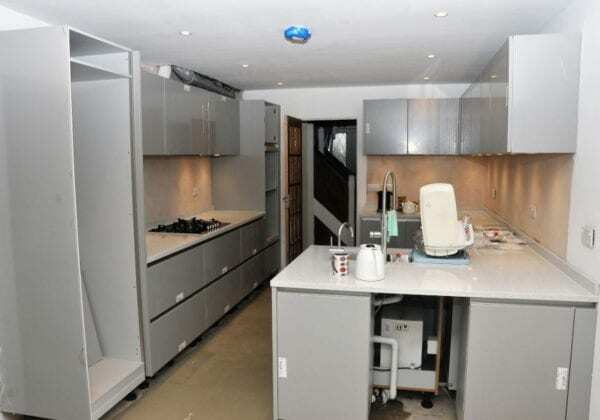 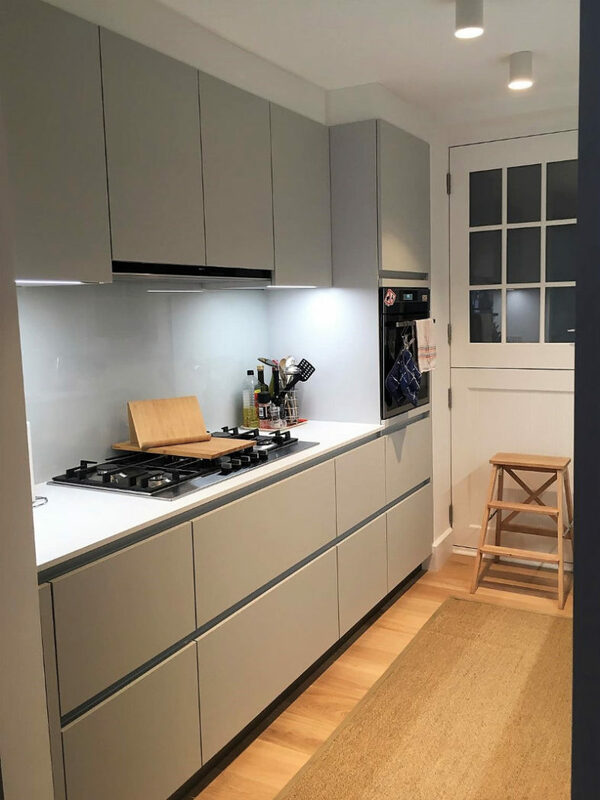 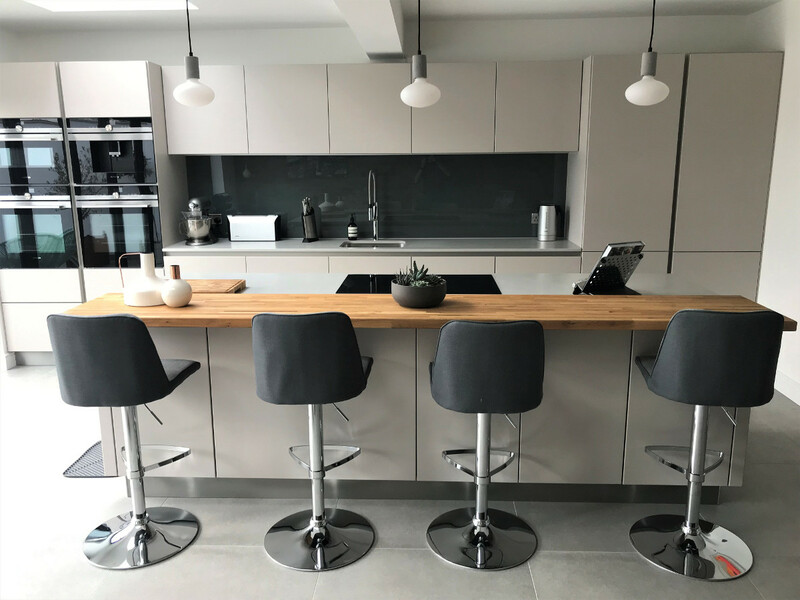 Some excellent before, during and completed kitchen installation photos sent in to us recently by our customers David and Nina from Buckinghamshire, thank so much to them! 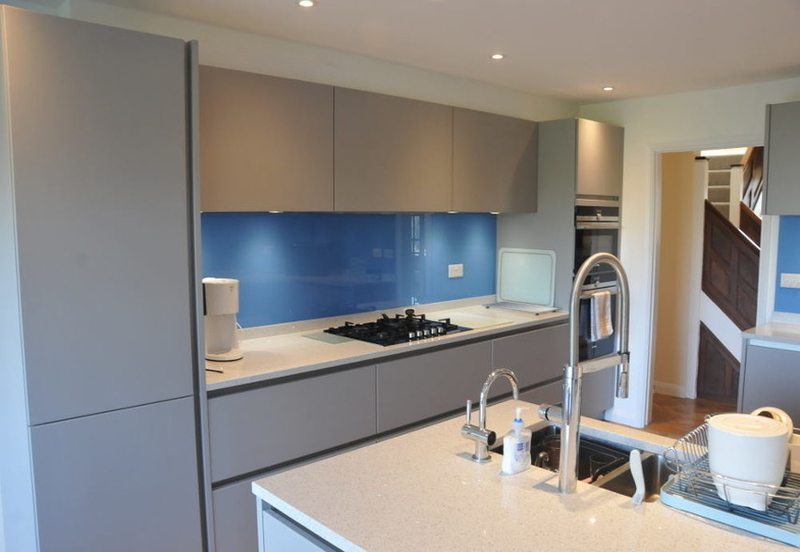 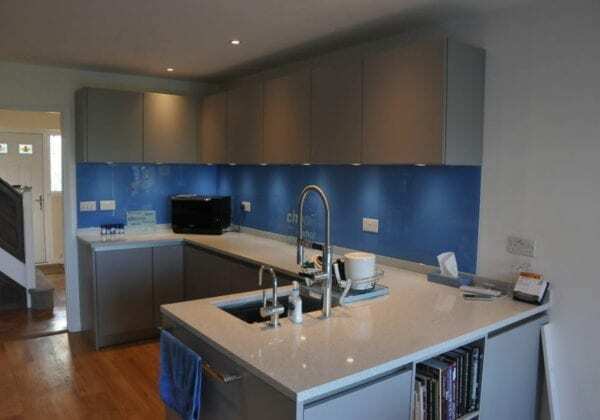 They chose Stone grey colour in matt lacquer finish for the units combined to great effect with Lactea, 30 mm quartz stone worktops and stunning blue glass splashback. choose a colour for the painted wall areas.